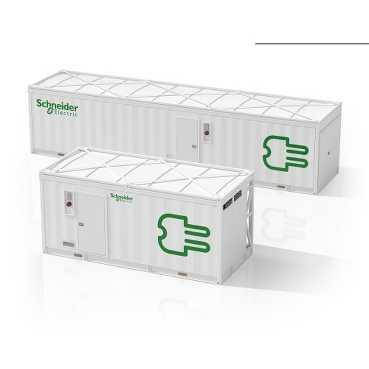 Schneider Electric Prefabricated Power Modules offer the best solution for scaling your data center power for expansion or incremental growth. 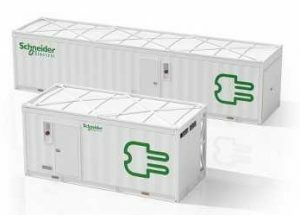 Enclosed modules can be used either inside or outside, and have been designed to withstand extreme weather and environments. The modules are fully integrated to include switchgear, UPS, environmental monitoring, security, and fire suppression as well as Struxureware Expert for system controls and management. Choose from one of the base designs or customize as needed for your specific application. Scalable and Flexible – Prefabricated modules inherently allow for scalable growth of IT infrastructure and the flexibility to adjust the design and size of future phases of deployment. Capital investments can be deferred, improving cash flow. Simple and Fast Deployment – Prefabricated Data Center Modules arrive on site ready to deploy which significantly reduces installation time and cost.